Shortly after the end of the Civil War the Yorkville neighborhood began filling with modest homes and small business buildings such as butcher shops and groceries. Large commercial concerns along the river—slaughterhouses, breweries and cigar factories among them—lured immigrant workers. Along with the other structures, private stables dotted the streetscape. One of them, a two story brick carriage house at No. 502 East 74th Street, had been converted for commercial use by 1892. The building was unexceptional in its design. Its slight width required the architect to set its arched carriage entrance to the side, rather than centered as was often the case. There was no attempt at expensive embellishments—the embellishments of the elliptical arched openings were executed in brick, rather than stone; as was the projecting bandcourse above the upper windows; and the cornice was creatively composed of bricks laid in a honey-comb pattern. The former carriage house now housed a woodworking factory. The firm installed the finished paneling and other interior architectural elements in structures under construction. In April 1892 the well-organized and powerful United Wood Carvers’ Association had won an eight-hour workday. But the owners of the 74th Street firm refused to budge. The tense relationship between the workers and the firm dragged on into the summer of 1893. The company had several large contracts on buildings being constructed; and the union saw its opportunity. It ordered a strike and not only did the wood carvers and installers from No. 502 East 74th Street walk off the job, so did 400 other construction workers including house painters, plasterers, carpenters, paper hangers, varnishers, and fresco painters among others. But the wood working firm may have had the last word. The demands of the union quite possibly put it out of business and within two months No. 502 was home to a different firm-- Jacobs & Marcus, makers of mineral water. On May 6, 1894 the factory was the scene of a sensational arrest. Nicholaus Riegel and his wife lived above his bakery at No. 1382 Avenue A. Around 3:00 in the morning Mrs. Riegel awoke and realized there were three burglars prowling about in the dark. When she screamed, the men ran; but her husband was quickly close on their trail. Policemen McKnight and Palasco joined the chase and saw them duck into No. 502 East 74th Street. Jacobs & Marcus joined the Soda Water Manufacturers’ Protective Association. The “protection” provided by the organization drew the attention of the renowned Lexow Committee in 1894. The New York State Senate probe sniffed out corruption within the police department. It appears that the “dues” A. Jacobs and Solomon Marcus were required to pay simply kept their factory operating without problems. The mineral water factory continued here for several years. In 1898 it employed five male workers who worked an average of 60 hours each per week. But in 1902 Jacobs & Marcus was forced to dissolve after filing a petition of bankruptcy. In November 1908 hints of trouble for the Eastern Marble Company arose. The New-York Tribune noted that the firm listed liabilities of $57,228; while its assets, including machinery, were just $23,906. Within the year partners Josef Poksteff and Frank Steyskal declared bankruptcy. Druggists had a wide range of fixtures from which to choose when dealing with Glaser, Rohrer & Co. In 1914 The American Druggist noted that “They have the fixtures complete as low as $350. They can make them for you as high as $3,500. But whether the fixtures ordered are the cheapest or the most expensive, one can rest assured that they will be well designed, well built, and made of good material.” The range of prices quoted by the journal would equate to amounts from $8,500 to $85,000 in 2016. Despite the ugly press, the company survived and remained in No. 502 through 1930. The following year it was home to the Rand Furniture Manufacturing Company; and by 1942 had been taken over by the Yorkville Wood Products Associates. In the 1970s the building's owner ran a newspaper delivery service from the ground floor. He was approached by a "film maker" who was desirous of renting the second floor. After an agreement was reached, the tenant made alterations, including a metal security door. The owner's suspicions were slightly raised when his new tenant demanded that "no one" was to be admitted upstairs and, in addition, paid his rent only in cash. It was only after police raided the premises that the owner (whose delivery business was always closed during the night) discovered there was an illegal gambling den operating there. His son, Guy Mitchell Lewit, is a co-owner of the property today. He recalls that the police used "axes and sledgehammers" to destroy the gambling tables. "The entire space," he said, "had been carpeted in dark purple, including the floors, walls and ceilings." Through it all the little brick carriage house survived as East 74th Street saw the rise of large factories and apartments houses and the massive power plant at the eastern end of the block. Today, the unexpected survivor is painted a Halloweenish orange and black, and is home to the studio of respected art conservationists Simon Parkes Art Conservation. 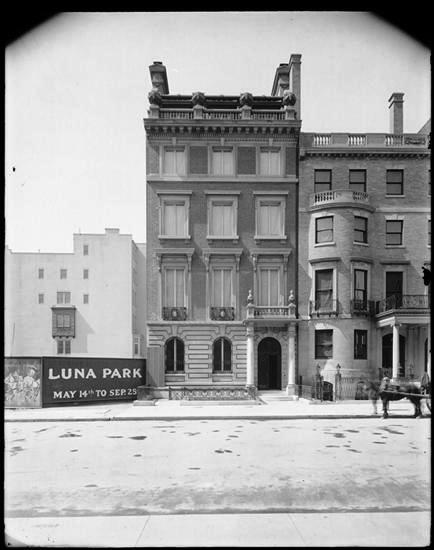 Before Henry H. Cook erected his massive stone mansion on the corner of Fifth Avenue and 78th Street, he took steps to assure the exclusivity of the neighborhood. He purchased bought the entire block from Fifth Avenue to Madison Avenue, 78th to 79th Street; and then slowly and methodically sold off the plots of what became known as “the Cook Block” with the codicil that only high-end, single-family homes could be built on the site. By the turn of the century Manhattan’s millionaires had reached the Cook Block. In 1901 Sidney Dillon Ripley, treasurer and director of the Equitable Life Assurance Society, commissioned Warren & Wetmore to design a 35-foot wide mansion at No. 16 East 79th Street. It was the first step in what would be a very long and possibly frustrating process. On January 11, 1902 the Real Estate Record & Builders’ Guide mentioned that the foundations were under way. More than two years later on February 13, 1904--at a time when substantial construction projects were often completed within 12 months—the Guide noted that the house was still under construction. By July the interior trim was being installed; and finally on November 26, 1904 the mansion was completed. Warren & Wetmore had designed a five-story brick-and-limestone urban home reminiscent of 18th century London. The neo-Georgian design featured a rusticated limestone base and columned portico above a two-step porch. The red brick of the upper floors formed a canvas for the white stone window enframements and cornices, and bandcourses. A dignified Georgian balustrade crowned the cornice, upon which perched four massive stone urns. It slightly disguised the mansard roof with its copper-clad dormers. Mary Hyde Ripley in 1889, three years after her marriage. from the collection of the New-York Historical Society. After waiting three years for their new home to be completed, they would not live in it very long. On the evening of Tuesday, February 21, 1905, just three months after moving in, Ripley noticed a slight pain in his abdomen; but gave it little thought. But later that night the pain was so intense that the Dr. Joseph A. Blake, was called. The long operation in Ripley’s bedroom was completed at around 8:00 the following morning. Almost immediately the doctors were aware that peritonitis had set in. Two days later there was little hope. The New-York Tribune reported that Ripley’s condition was “extremely critical” and that “The crisis is rapidly approaching.” Sidney Dillon Ripley died in his new home later that afternoon, on February 24, 1905. Ripley’s standing in New York business and society was evidenced at his funeral at the Church of the Heavenly Rest on February 27. Not only was the church filled with powerful businessmen and politicians like Peter Cooper Hewitt, Chauncey M. Depew and Elihu Root; but his pallbearers included Oliver Ames, August Belmont, and H. C. Deming. Mary Ripley left the 79th Street mansion, never to return. She leased it that year to Charles and Gustavia A. Senff, whose country home was at White Stone, Long Island. (The New York Times deemed it “one of the finest residences on Long Island Sound.) Others would lease the mansion over the next few years—like James W. Lane who took it in 1909—but Gustavia Senff would eventually return for good. Charles Senff was related to the Havemeyer family—the Sugar Kings. He was a director of the American Sugar Refining Company and, like his relatives, had amassed a fortune. He died at the Whitestone estate on August 23, 1911 at the age of 74, leaving his widow an estate valued at approximately $11 million. The buyer was recently-widowed Gustavia A. Senff. 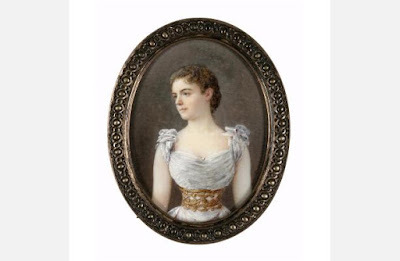 She paid Mary a staggering $400,000 for the mansion—about $10 million today. Gustavia would be moving into an exclusive neighborhood. Her neighbors would include millionaires Stuyvesant Fish, James B. Duke, Isaac D. Fletcher, and J. Woodward Haven. Gustavia filled No. 16 with the priceless artworks she and Charles had collected. The paintings ranged from Old Masters to modern masterworks and the Senff collection was well recognized during their lifetimes. The mansion was the scene of Gustavia Senff’s upscale entertainments; like her occasional hostings of the exclusive Thursday Evening Club. No hint of scandal or disrepute could be linked to the address until she left New York in 1921 for an extended trip abroad. On August 16 that year the New York Herald reported that “Mrs. Charles H. Senff…well known in New York society, has joined the list of Americans who have rented historic English houses during temporary residence abroad.” The article said she had leased Cobham Hall in Kent for the autumn; followed by Invercauld Castle in Scotland. Gustavia would not return for a year, and in the meantime would be living among history. The Herald pointed out, for instance, that “several British sovereigns have lived or been entertained” at Cobham Hall. While she was gone she leased No. 16 to millionaire and mining engineer Edward M. Breitung. She had barely boarded her steamship when her tenant was arrested on September 21, 1921 following a raid on a tenement house brothel. “Mr. Breitung was alleged to have been in the apartment of a Mrs. Kifr, at 840 Madison Avenue, with two women when the place was raided by detectives,” advised the New-York Tribune. Brietung escaped prosecution. On November 10 the Tribune reported that his case was discharged after the judge, Moses R. Ryttenberg, decided that “only persons deriving remuneration from the violation” were subject to court action. When Gustavia A. Senff returned to No. 16 so did respectability. She stayed on until her death in the house on November 15, 1927. In April 1929 the mansion was purchased by Lewis Nixon, Jr. and his wife, the former Sally Lewis Wood. Married in 1891, the couple had an adult son, Stanhope Wood Nixon. Nixon had retired from the United States Navy the year he married Sally; the same year that he designed three battleships—the Oregon, Indiana and the Massachusetts. He was now the President of the Nixon Nitration Works. Sally, who included among her ancesters General Andrew Lewis of Colonial Virginia, was a member of the Colonial Dames of America and the Daughters of the American Revolution. In the fall of 1936 Sally fell ill. Her condition did not improve and at 10:00 on the night of June 15, 1937 she died in the 79th Street house. No. 16 continued life as a single-family home until 1956. That year an interior conversion resulted in doctors’ offices throughout the first four floors, with two apartments on the fifth. Sadly, at this time the exterior was altered as well. The elegant portico was removed and the window surrounds drastically reduced, including the loss of their handsome cornices. Although the lovely Georgian balustrade survived above the cornice, its hefty stone urns were removed. Among the many doctors who practiced from No. 16 throughout the next decades, none would draw as much attention as Steven Levenkron, a psychotherapist who specialized in eating disorders. In 1981, began treating pop singer Karen Carpenter who suffered from anorexia. In 1979 the lower floor of No. 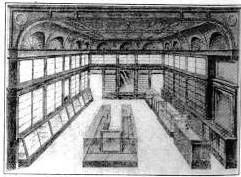 16 was converted to an art gallery, the Saidenberg Gallery, the first in several to be housed in the space. Today it is home to the Bjorn Ressle Fine Art gallery. Warren & Wetmore’s once stunning neo-Georgian mansion still hints at its former glory. And it perhaps makes us wish that landmark laws had been in place a few decades earlier. In 1794 Dr. Gardiner Jones laid out a short lane in Greenwich Village. The block-long road took his name, becoming Jones Street. Half a century later, around 1844, developer George Schott completed a row of stylish Greek Revival rowhouses on the block. Like its neighbors, No. 20 was faced in brick and trimmed in brownstone. Three bays wide and three stories high over and English basement, it was intended for a financially-comfortable family. But this section of Greenwich Village would quickly decline. By 1857, when William M. and Eleazar B. Brown owned the building, it was already being operated as a boarding house. Greenwich Village was the center of the black community in the 19th century. Nearby Minetta Lane was familiarly called Little Africa. When Jacob Ramsey, Jr. moved into No. 20 Jones Street around 1880 the tenant list was racially-mixed; there were two other white families in the house. Ramsey was going through difficult domestic problems at the time. He took rooms in the house when he and his wife, Vandalia (called Vannie by friends) separated. Vandalia suspected Ramsey of cheating and sued for divorce in July 1880. But when she could produce no evidence, the case was thrown out. Jacob then sued Vandalia for divorce, claiming that it was she who was unfaithful. But she was intent on proving her case and preserving her reputation. She hired a private detective who, unfortunately for her, was not an accomplished sleuth. Ramsey complained that the detective “has been dogging his footsteps night and day,” according to a newspaper. It culminated in a confrontation in the Jones Street house at 11:30 on the night of Sunday, October 31, 1880. That night, after the downstairs doorbell was repeatedly rung, a boarder went to the door. Two women and two men insisted they needed to see Ramsey. The boarder was reluctant, but “after some urging,” opened the door and pointed the way to Ramsey’s rooms. In the group was Vannie Ramsey; her sister, Annie Weller; the private detective, Edward R. Scott; and a friend, Frank Sleeper, a pump manufacturer. They were positive they would find Jacob Ramsey in a compromising situation with a woman. The four quietly moved to Ramsey’s door and one of the men knocked on it, saying that “a gentleman wished to see him.” When Jacob cracked the door open a few inches, the group rushed in, knocking him against the bed “violently,” according to The New York Times. Ramsey was wearing his trousers, shirt and slippers. Before he could get to his feet he was threatened with physical violence. “Sleeper was armed with a formidable looking walking-cane, which he brandished over Ramsey’s head,” said The Times. As the two women searched the rooms, Scott “then struck him with a club and Sleeper hit him in the stomach with a cane,” reported the The Sun. Ramsey later complained that when he demanded to know by what authority they had burst into the house, Scott shook the billy club in his face and replied that the weapon was his authority. Ramsey’s landlord, Willard C. Hunter, lived in the house. In October 1882 he demolished a similar house across the street, at No. 17, and hired architect C. E. Hadden to replace it with a three-story brick stable. Although the S-shaped iron shutter dogs, used to prevented exterior shutters from banging in the wind, appear original; they do not appear in early 20th century photographs. By 1893 all the tenants in No. 20 Jones Street were black. Most had come to New York from other areas, looking for a better life in the North. In 1889 Douglas M. Berwick arrived from Jamaica, leaving his wife and three children behind. Berwick had been an attorney in Kingston before coming to New York. Now he worked in a jute factory in Greenpoint, Brooklyn. The former lawyer’s hopes never came to pass. On July 31, 1893 The Sun reported “Douglas M. Berwick, a middle-aged man and a native of Jamaica, was found dead in his bed yesterday morning at his boarding house, 20 Jones street.” The coroner attributed his dead to a stroke. There was another death in the house later that year. Even in the North, most people of color could find jobs only as servants, laborers, or other lowly positions. Edward S. Taggart was a porter on New York Central trains. The 28-year old shared a third floor room at No. 20 Jones Street with another porter, named Elliott. 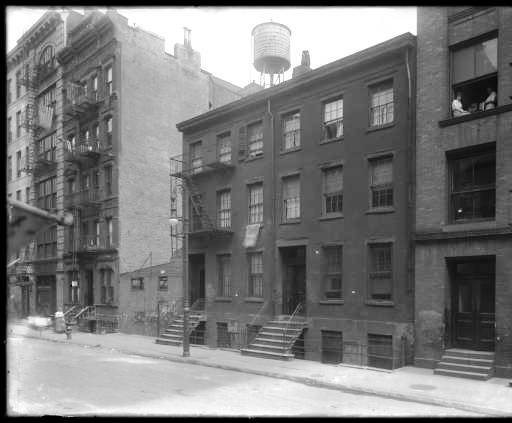 A year earlier the Greenwich Settlement House had been organized in a renovated house at No. 26 Jones Street. The Settlement House movement sought to improve the lives of the impoverished by training them in domestic arts and income-producing trades. In 1910 Greenwich House purchased Nos. 18 and 20 Jones Street for use as low-income housing. Indigent tenement dwellers had little opportunity to enjoy the out of doors; and their children’s play and exercise was limited to the dangerous streets. The rear yards of the Greenwich House properties were renovated to resolve the problem. A decision was made in 1918 that the houses at Nos. 18 and 20 Jones Street should be rented not to the needy; but to more affluent tenants to increase the funds of the Settlement House. A renovation costing $7,000 was initiated that provided “steam heat, electricity and plumbing.” Completed in December, the new apartments were quickly rented and The Sun listed the eight females who had signed separate leases in December. Through the tea room girls learned nutrition, cooking skills, serving, the handling of money and accounting, and social skills through interacting with the public—all important abilities in making one’s way in life. By 1941 No. 20 Jones Street had become the Artists and Writers Kitchen. The venue staged art sales to benefit struggling artists. In December that year a “Christmas portfolio” sale was held “to raise funds to provide free meals and other aid for indigent artists and writers,” announced The Times. Among the nationally-recognized artists who donated works were John Sloan, Arthur William Brown, DeHirsch Marguiles, Peggy Bacon and Gordon Grant. In 1947 architect Henry T. Howard and his wife, Jane, purchase Nos. 18 and 20 from Greenwich House. They renovated the two buildings to modern apartments, and removed the outdated stoops. Skylights were punched through the roofs to provide studio lights. The renovations were completed in 1949 and two years later the Howards sold the buildings as a package to Tyte-Hanfield Co., Inc.
At some point during this time actor Kirk Douglas lived in a top floor apartment, according to his autobiography The Ragman’s Son. It was apparently a short stay, since his film career had already begun to take off. Architect Harley Jones purchased the house in 1994 and rebuilt the lost stoop. He sold it to Jacinta Orlando and her lawyer husband Gus Samios in 1988. They did a gut renovation in 2004 that resulted in a basement apartment below a single-family triplex. Their celebrity tenants in the basement apartment was singer-songwriter Steve Earle and his wife, Allison Moorer. In September 2010 the house was put on the market for $7.9 million. The listing created an oddity in real estate offerings. The owner of the house next door, No. 18—which had been for so much of the 20th century handled as a package with No. 20—decided to sell; but only if it were sold together with No. 20. The combined offering was $16.5 million. No. 18 (left) still manages without its stoop. Although the Greek Revival doorway to No. 20 Jones Street was long ago lost, with its restored stoop it retains 1840s appearance. The brownstone sills and lintels and dentiled fascia board survive after a long and sometimes harried history.